Well, after 4 episodes, it’s official: Better Call Saul is a roaring success. Seriously, it’s brilliant. Go and check it out if you haven’t! Saul’s success got us thinking: which TV characters would we like to see get their own show next? And what would their spin-offs be like? The man with the thumb-shaped head first appeared as Saul Goodman’s bodyguard in Season 4 of Breaking Bad, and stole our hearts soon after. Huell is a man of few words and simple pleasures, such as intimidating rich people and sleeping on beds of money. The spin-off: Just tell us whether he got out of the safehouse or not! Funny or Die made a very funny video detailing Huell’s life in the safehouse and we’d like the TV spin-off to be pretty much the same. We’re certain it’d sell DVDs by the bucketload. Ron Swanson is the ultimate man’s man. Over 6 seasons of Parks and Recreation, he’s taught us all how to be better men (or how to make the men in our lives more manly) via a diet of meat, whiskey and quality woodwork. What would mankind be without the Ron Swanson Pyramid of Greatness? The spin-off: Ron is employed by the federal government and brings it down through a series of inefficiencies, culminating in a woodworking contest with the President of the United States. Naturally, Ron defeats the President and is named the new President, then slowly works to bring down the UN from the inside. Repeat until Ron becomes the leader of the universe. Ah, Doakes: a relic from the days when Dexter was one of the best shows on TV. Doakes was Dexter’s arch-nemesis, stalking him and calling him nasty names as he tried to figure out what everyone’s favourite serial killer was up to. The spin-off: Given that Doakes got blown up, a prequel seems the obvious option. But we’d prefer to see a sequel in which Doakes is reborn as ‘Robodoakes’, an unstoppable crime-fighting machine with a streetwise attitude and an intimate knowledge of Dexter’s killing habits. Now that would have been a great 3rd season! 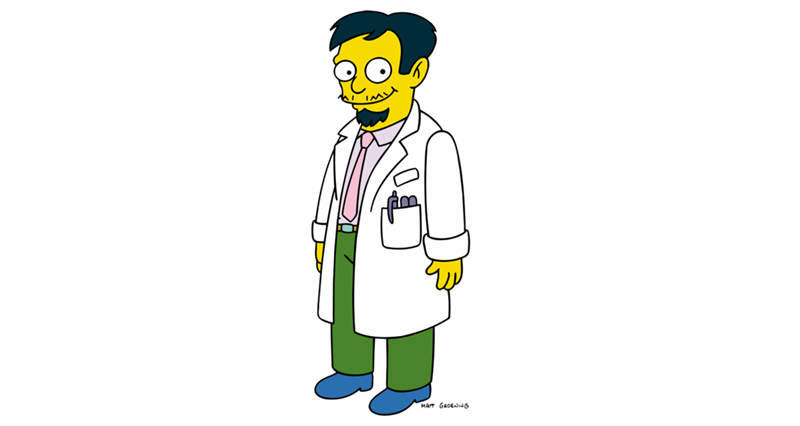 Medical dramas are always popular, and what medical professional is more capable of creating drama than dodgy Dr. Nick from The Simpsons? The spin-off: Nicolas Rivera is a fresh-faced medical student with a head full of dreams. Faced with a rising college bill, however, he is forced to perform unlicensed surgery for money. Will he hold onto his morals or be swallowed up in the murky world of illegal medicine? Oh, and the show would be called Hi, Everybody! Alan Partridge’s best friend is something of an enigma. We know he’s from Newcastle, we know he was in the army, and we know he once killed a monkey for stealing his cigarettes. But what else is he hiding? Why wouldn’t he let Alan into his house? How did he come with his legendary dish, the cup of beans with a sausage spoon? The spin-off: Either a prequel documenting Michael’s army days, or a sequel documenting his weird life in the Norwich underbelly. Which TV characters would you like to see get their own show? Let us know in the comments!